It'll work regardless of OS as long as you both have Desktop version and the same game version. I use Linux and play with people that use Mac and Windows, it won't be an issue. No. You will need to switch to 1.9 in order to join. It's really easy, just hit Edit Profile on the main window and you should see the option to downgrade. For those that need help downgrading, here you go. What you do is: Open the launcher, press "Edit Profile", under "Use Version" change it to the desired version which in this case is 1.9. 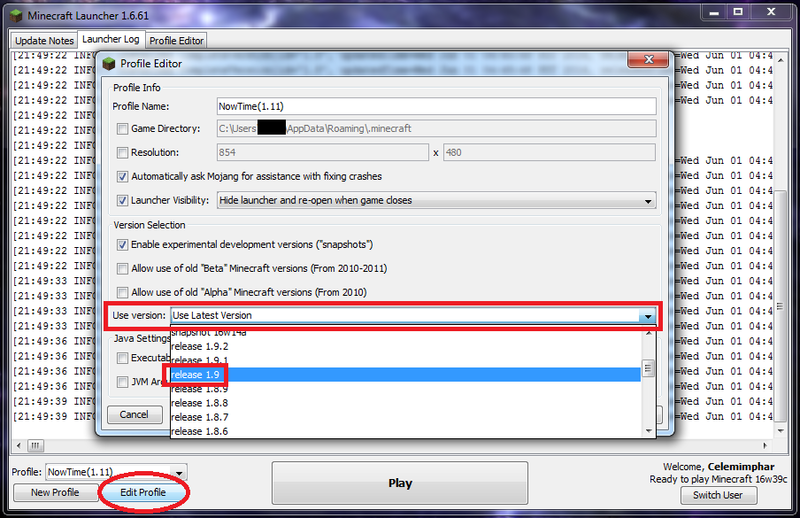 If you want to play using dev versions (1.11), check the box to enable it. there was an indecent with an ATV. A very bad image is entering my mind. which shaders did you use for the pictures??? @Sonus told me about this, and I fell down on the floor and started laughing because I could barely process the thought that it actually happened. If I recall correctly, you thought I was joking. Nope. It's a texture pack and map. Total vanilla ice cream. Do we have a date for the game night yet? Can it only work in 1.9 and lower? Both use the Java version, there is no diffrence. Just when I thought I was going to put MC down for good. 1 - How long will it be? 3 - Will the server still be up after the game night?